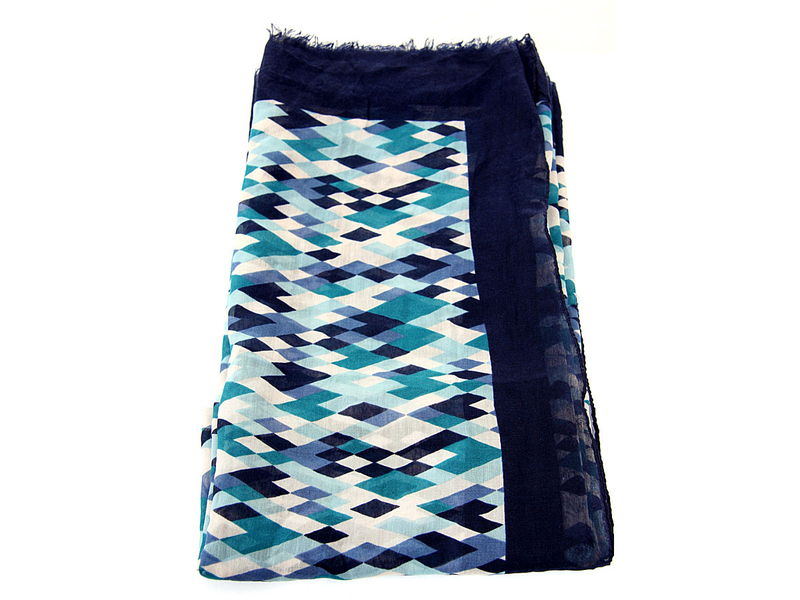 Wholesale Handbags #SF-2153 Rhombus print in shades of blue spans across this lightweight & soft to use polyester scarf which has navy border all around. Eyelash fringe along the longer side decorates this scarf. 100% Polyester. Hand wash. Imported. 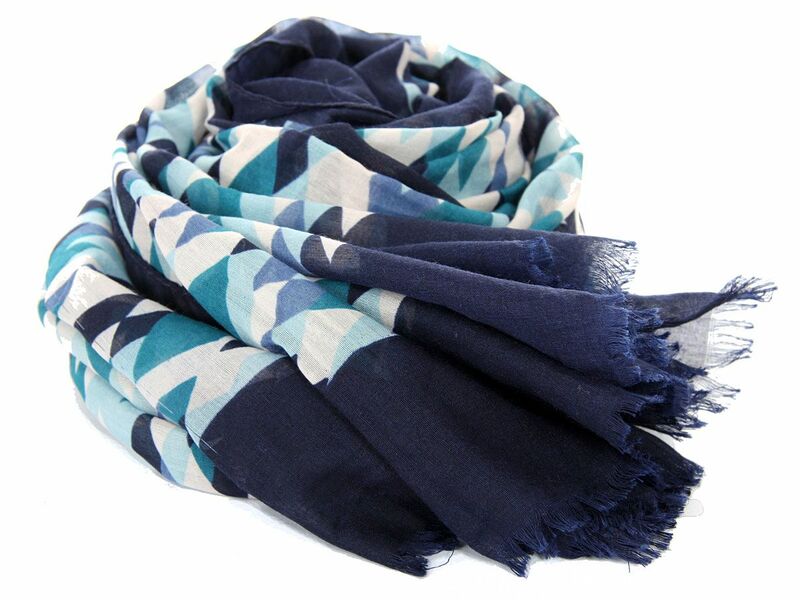 Rhombus print in shades of blue spans across this lightweight & soft to use polyester scarf which has navy border all around. Eyelash fringe along the longer side decorates this scarf. 100% Polyester. Hand wash. Imported.